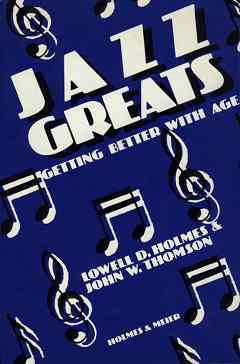 Jazz Greats - Getting Better With Age [holmes1111] : Jazz Record Center, Rare and out-of-print books, records and more. This study examines the effects of aging on attitude and performance through interviews with a dozen long time jazz musicians. Remaining in many cases vigorous and productive well into their sixties and seventies, these musicians generally defy the common belief that creativity declines with age, serving instead as models of adaptability and fortitude.